Location was super. Close to Orchard Rd. Washing machine. Good parking space. The location is superb and thought the apartments are a little old, my stay there was comfortable. I stayed in the balcony room and the view from the balcony is ok. What makes this place great though is the amazing staff! They were cheerful, friendly and very attentive to my needs. It was always a pleasure talking to them. Another reason why I would recommend this place is the washing machine in the room. Amazing location and value for money if you are staying for more then a week. Excellent central location 5 mins from Somerset metro & Orchard, Somerset & River Valley Road for bus stops, but really quiet! Premium apartment ideal for 2 for 8 nights. Good shower with own heater so always hot water, nice kitchen area with table, & separate seating area in spacious bedroom. Staff very obliging & friendly - gave us 2nd comfy armchair, let us choose day we got fresh towels & cleaning - anything missing you only had to ask! Good Fairprice supermarket nearby & wonderful Le Bijoux bakery on corner of Killiney & Exeter Roads. Excellent value for location - will return! The issue was resolved by offering us another room. Which was bigger than we had booked. Glad we got that room because the other one would have been too small for 2 people. The receptionist helped us everyday to call a taxi and we were grateful because we did not have a mobile phone. The room offered a kitchenette and a small table. The bathroom was clean and it also had a washing machine. The room also had an AC which is necessary in Sing. And had windows you could open, unlike hotel rooms. So we could get some fresh air at night. The area was clean and safe to walk around. Good neighbourhood. The price was affordable and was the reason why we booked. If they get greedy with prices, we would rather bool a hotel and get same facilities. Keep the same service and offers and we will definitely return and bring friends. Good room size. Excellent location. 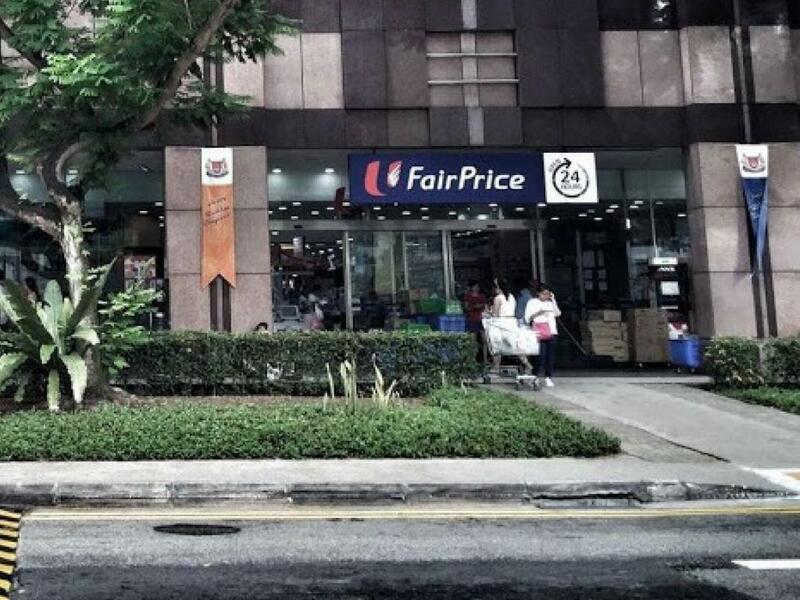 Close to the Somerset MRT and the shopping mecca of Orchard Road. Restaurants and supermarket a few minutes walk away. Quiet area. Each room has a washing machine, which is my reason to stay here repeatedly. It is not a hotel or a serviced apartment but a simple apartment. The staff, Abie and Rishma were all very helpful and accommodating. Abie even message us thru WhatsApp if we need anything. And when we check out early morning around 2am , the staff at the reception even hel us carry all our lugggages. 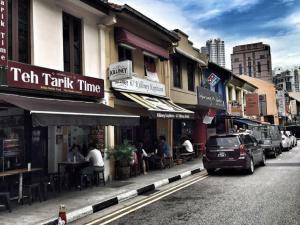 The place is very near MRT station (Sommerset being the nearest, next is Orchard by walking). There are also bus stations within walking distance. 24 hour grocery store (Fair Price). Restaurants are within walking distance also. ช้อปปิ้งมอลล์ Orchard Gateway อยู่ห่างจากอพาร์ตโฮเทลเป็นระยะทาง 600 ม. ในขณะที่ศูนย์การค้า Cineleisure Orchard อยู่ห่างจากที่พักเป็นระยะทางไม่เกิน 1 กม. ท่านต้องการเข้าพักที่ Greatwood Residence at Devonshire เมื่อไร? We are located just 3 mins walk away from Orchard Road. You can retreat and expect a quiet and serene neighborhood despite the short distance to the busy Orchard road. The apartment comes with a queen sized-bed, air conditioned, Private Bathroom, Working table, LCD TV and quality WIFI. 24 hrs grocery store and local food paradise with Indonesian, Thai, Japanese, Vietnamese and Singapore cuisine are just located 2 mins walk away. The nearest train station is located just 3 mins walk away.